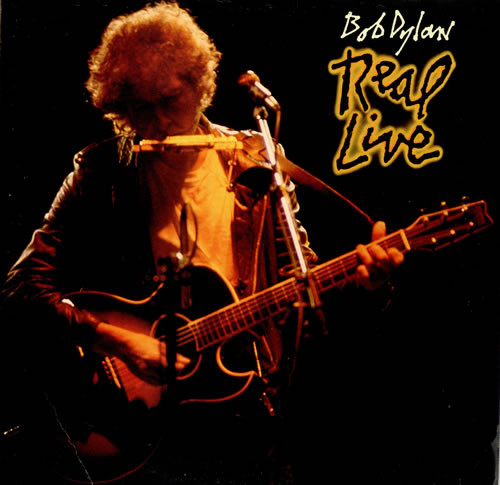 This sometimes unfairly maligned Bob Dylan live album as, in my opinion, much better than many say, containing solid rock versions of some of his well-known songs, plus a couple from his 1983 "Infidels" album. It features ex-Rolling Stone Mick Taylor on guitar and ex-Faces keyboardist Ian McLagan. The band is a comparatively small one - Dylan, McLagan, Taylor, Gregg Sutton on bass and Colin Allen on drums. The band delivers a tight rock sound. Personally, I prefer it to "Hard Rain", by far, and the sound is so much better too. The album begins with a superb, rocking "Highway 61 Revisited", with Dylan really "on fire" vocally. This is as impressively as Dylan has ever rocked. He almost sounds like The Stones. I guess Mick Taylor helps. I have never been a huge fan of "Maggie's Farm" but this is as powerful and lively as I have heard him do it live. "I And I" from "Infidels" does not have the reggae-ish backing that Sly Dunbar and Robbie Shakespeare provided on that album, but it still has an infectious slow-paced, seductive rock beat and another great Dylan vocal. There is a great Taylor solo near the end. "License To Kill" is a great song anyway and here it is performed anthemically. "It Ain't Me Babe" is done acoustically but is somewhat blighted by the crowd's braying singing along. Nothing worse than a crowd! Excellent Dylan harmonica at the end though. "Tangled Up In Blue" is also performed acoustically and is given some new verses, which makes for an interesting listen. 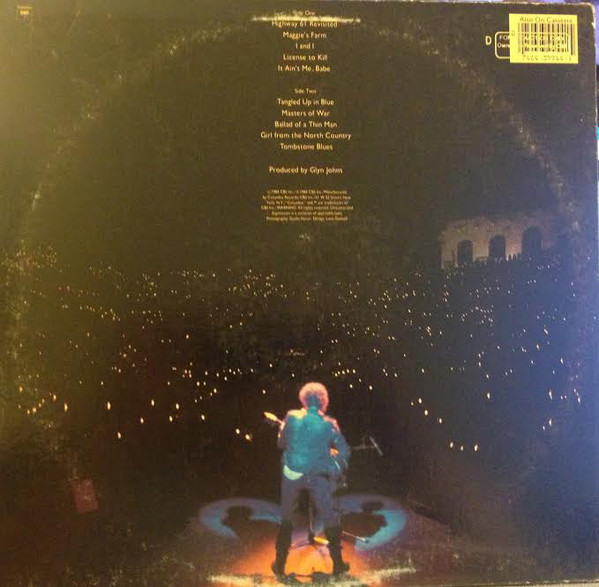 I have to say I prefer the version on "Rolling Thunder 1975" though. The originally sombre "Masters Of War" was never a particular favourite of mine, but here it is given a superb bassy rock makeover. This is definitely the best version of the song. It positively bristles from beginning to end. Great stuff. "Ballad Of A Thin Man" also gets a new revitalisation and rock veneer, featuring more excellent guitar. "Girl From The Country" once more sees a vibrant Dylan singing as clearly as he has before or since, in many ways. For "Tombstone Blues", Carlos Santana joins on guitar and we get another pounding, bluesy rock rendition. It is this, along with tracks 1, 2 and 7 that are the real rock cornerstones of this most enjoyable. vivacious album. Recommended.